Stephen has been exploring the history, legends, and folklore of his home province of Newfoundland for the better part of 40 years. By the time Amelia Earhart arrived in Harbour Grace, Newfoundland in May of 1932 to begin her solo transatlantic flight she was already an accomplished aviator. Among her many achievements were; breaking the women's altitude record, reaching 14,000 feet in October of 1922, being the first woman to fly across the Atlantic, in June of 1928, and setting a speed record of 181.18 mph, in July of 1930. 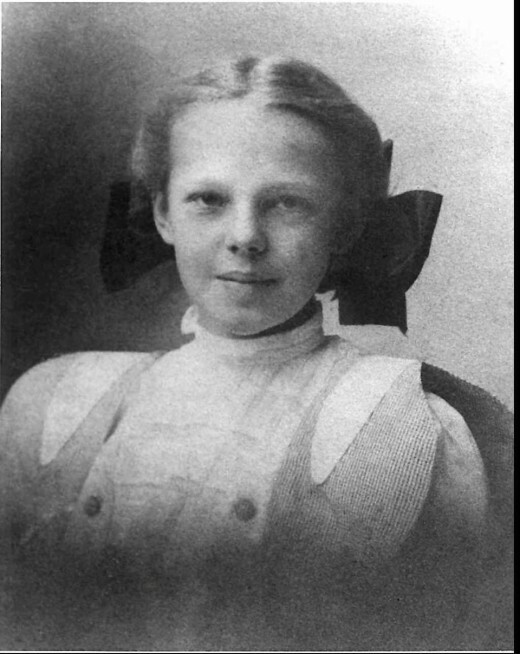 Born in Atchison, Kansas on July 24, 1897, Amelia had always had an adventurous spirit and was considered to be somewhat of a tomboy. She tended to shun traditional 'girl's' play and instead preferred more rough-and-tumble, outdoor kinds of activities such as climbing trees, collecting insects, and speeding downhill on her sled. Amelia's interest in aviation was first awakened at an airshow she attended with a friend when she was 19 years old, but it wasn't until December 28, 1920, after she was given her first ride in an airplane by pilot Frank Hawks, that she "knew I had to fly." Six days later, on January 3, 1921, she began flying lessons with Neta Snook. July of that same year she purchased her first plane, a Kinner Airster. Less than two years after taking her first plane ride Amelia Earhart broke the women's altitude record when she soared to 14,000 feet, on October 22, 1922. A number of other records and achievements leading up to her 1932 solo flight followed. On June 18th, 1928 she became the first woman to fly across the Atlantic when she completed the transatlantic crossing, as a passenger, with pilots Wilmer Stultz and Louis Gordon, in a time of 20 hours and 40 minutes. 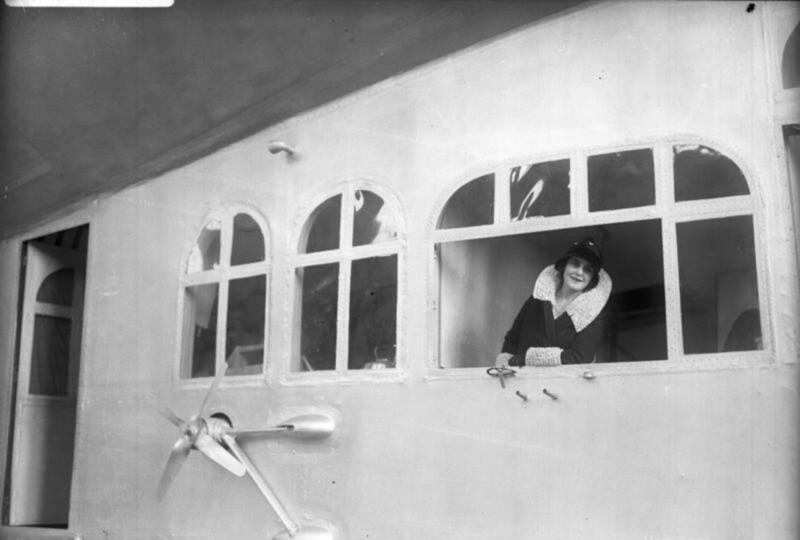 Later that summer she purchased the Avro Avian that had been flown solo from Capetown, South Africa to London, England by Britain's foremost female pilot, Lady Mary Heath. In the fall of that year, she published the book 20 Hours 40 Minutes, about her transatlantic crossing, and went on a lecture tour. She also became aviation editor of Cosmopolitan Magazine. In August of 1929, she entered the first Women's Air Derby, known as the Powder Puff Derby, in which she placed third, and in the fall of that year was elected as an official for the National Aeronautic Association. On June 25, 1930, she set the women's 100-kilometer speed record, and on July 5 she set a speed record of 181.18 mph over a 3-kilometer course. In September she helped to organize, and became vice president of public relations for, a new airline: New York, Philadelphia, and Washington Airways. On April 8, 1931, she set the woman's autogiro altitude record when she reached 18,415 feet in a Pitcairn autogiro. 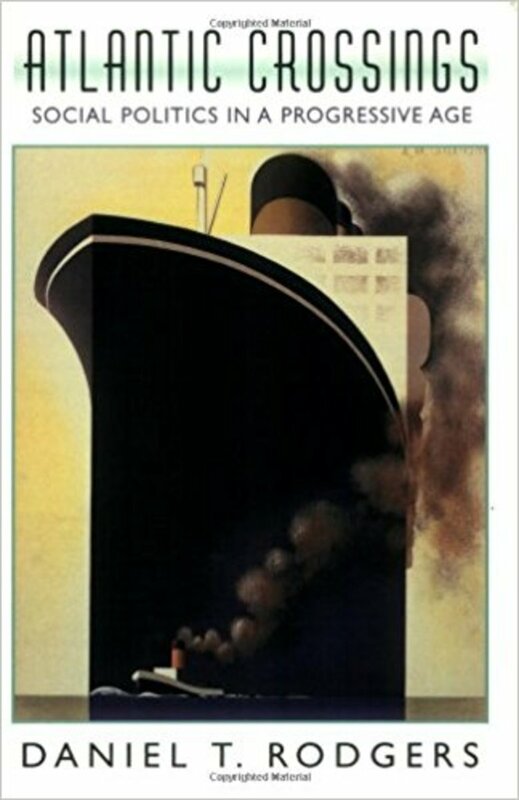 Then, in May of 1932, she was off to Harbour Grace. Harbour Grace is a small fishing community on the north side of Conception Bay, on the Avalon Peninsula of Newfoundland, the Island portion of the Canadian province of Newfoundland and Labrador. By the time Amelia Earhart arrived there in 1932 the town had already been the jumping off point for a number of attempted transatlantic crossings, mostly unsuccessful. 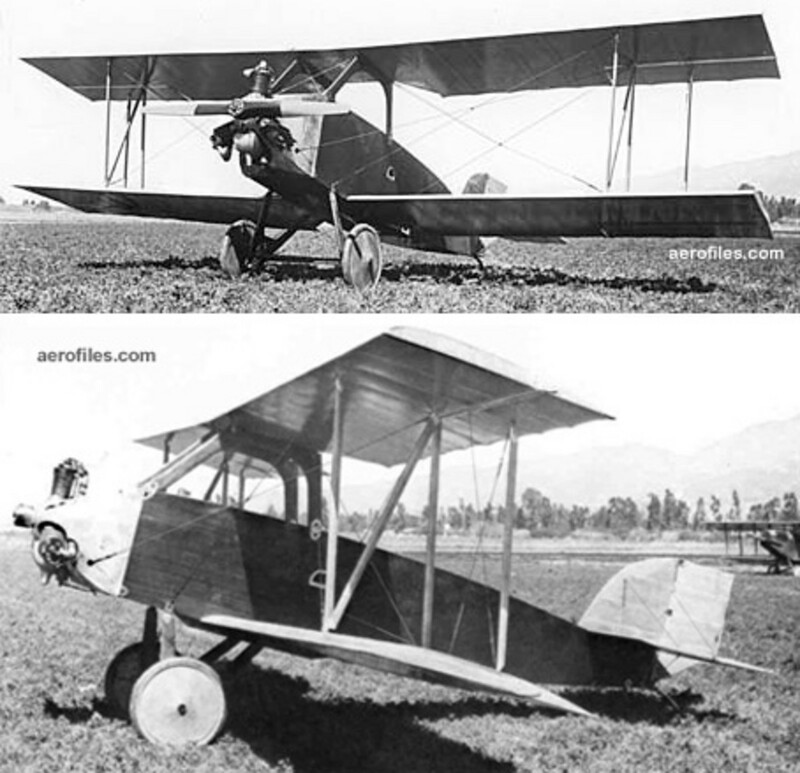 A number of these attempts took place even before there was an airfield. In 1927, Fred Koehler of the Stetson Aircraft Corporation of Detroit was in Newfoundland looking for a suitable location from which to launch an around the world flight attempt. He chose Harbour Grace as the best location for this but determined that an airfield would have to be built there. Work on the new airstrip was begun almost immediately, and in less than three weeks, on August 27th of that year, the 4000 foot long by 200 foot wide gravel airstrip was complete, making it the first civilian airfield in North America built specifically for transatlantic flight. 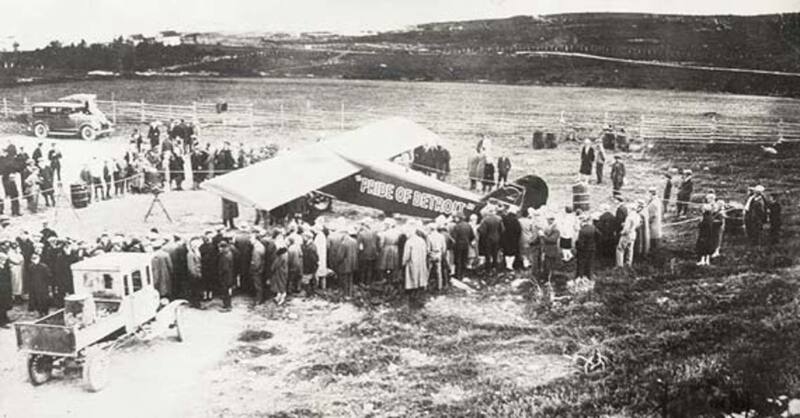 On the same day that it was completed, the Harbour Grace Airfield saw its first aircraft when William E. Brock landed his plane, the Pride of Detroit, there for an overnight stop on his way around the world. 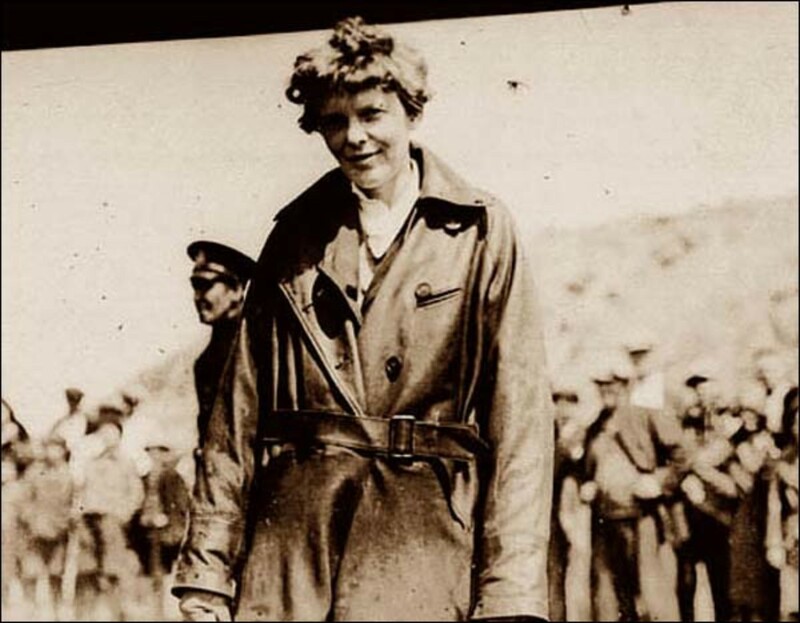 Amelia Earhart arrived in Harbour Grace at two in the Afternoon of May 20, 1932, and a mere five and one-half hours before she was to depart on her historic flight that would see her become the first woman to fly solo across the Atlantic. It was also exactly five years to the day after Charles Lindbergh left from New York on his historic flight to Paris, France that saw him become the first person to complete the solo transatlantic crossing. Newfoundland was chosen by Earhart as the starting location for the attempt due to its close proximity to Europe. This was not, however, her first journey to the rugged and remote island in the North Atlantic. It was from Trepassey, a small fishing village on the southern tip of Newfoundland's Avalon Peninsula, that she had left with Stultz and Gordon in 1928 to become the first woman to fly across the Atlantic. Four years later and she was the pilot and not a passenger. From the moment that Earhart arrived in Harbour Grace with her two-man flight crew, Bernt Balchen and Eddie Gorski, who had accompanied her on the New Jersey to Newfoundland leg of the voyage, the town was abuzz with excitement. People seemed to sense that they were witnessing history in the making. While the crew prepared her plane for the upcoming flight, Amelia went to a local hotel, Archibald's, for a short rest. She returned to the airfield four hours's later refreshed, and carrying a thermos of Rose Archibald's homemade soup for the journey. An hour later, at 7:30 pm, she took off to the cheers of an excited and supportive crowd. Four hours into the flight she hit stormy weather. Her plane was suddenly being rocked by rain, lightening, and high winds. To make matters worse the aircraft's exhaust manifold broke, causing flames to be emitted from the vent, constantly licking at the plane's shell, threatening to cause the Vega to burst into flame. Then, still several hours from her destination, her altimeter stopped working, leaving her with no way of knowing her true altitude. To make sure that she was flying high enough, and to try to escape the severe weather, she began climbing to a higher altitude. Unfortunately, the colder temperatures caused her plane to ice up, which sent it into a downward spin toward the ocean below. Fortunately, the warmer air at the lower altitudes melted the ice, and Earhart was able to regain control. In spite of the potentially fatal issues encountered along the way Amelia Earhart was able to land her plane, 14 hours 54 min and 2026 miles later, in a farmers field in Culmore, Ireland. Even though she was shy of her intended destination of Paris, France she had still been successful, becoming the first woman to fly solo across the Atlantic. 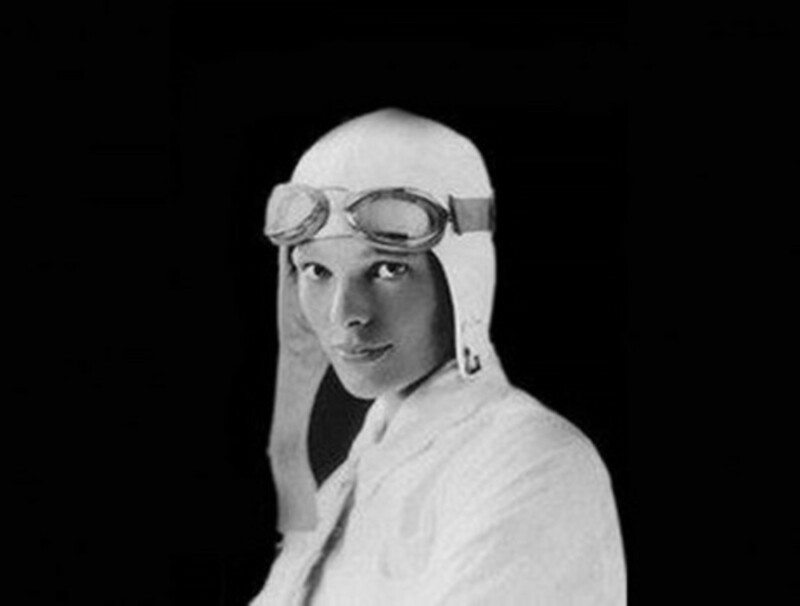 In recognition of this incredible feat, Earhart was awarded the Distinguished Flying Cross by the U.S. Congress, The Cross of Knight of the Legion of Honor by the French Government, and the Gold Medal of the National Geographic Society, presented to her by the then U. S. President, Herbert Hoover. 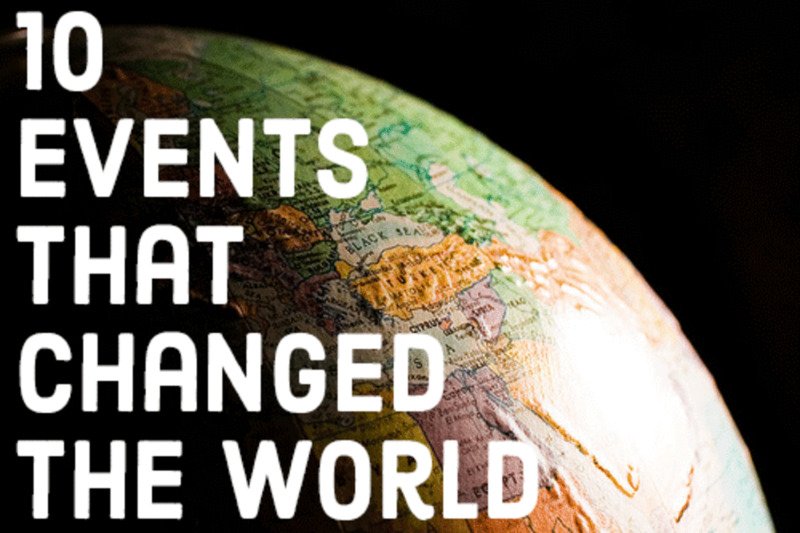 Even though she had just completed the greatest achievement of her career to date, and was being celebrated around the world for her incredible accomplishment, Earhart did not stop there. Three months later, In August of 1932, she became the first woman to fly solo coast to coast across the United States, setting the women's nonstop transcontinental speed record by completing the 2,447.8 mile journey in 19 hrs 5 min. Later the same year she was elected president of the Ninety Nines, a new women's aviation club. In July of 1933, she broke her own transcontinental speed record by completing the same flight in 17 hrs 7 min. On January 11, 1935, she became the first person to fly solo across the Pacific from Honolulu, Hawaii to Oakland, California. That same year she became the first person to fly solo from Los Angles to Mexico City. 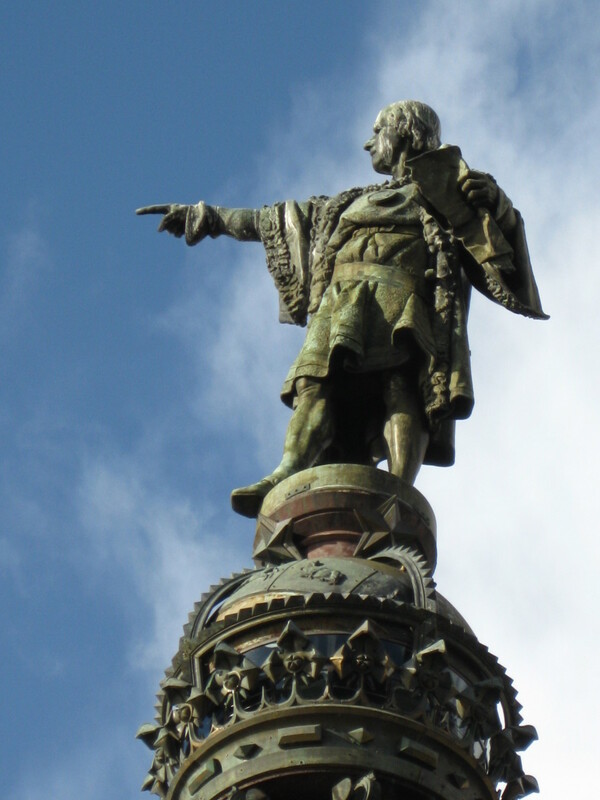 Eighteen days later she became the first person to fly solo, nonstop, from Mexico City to Newark, New Jersey. On May 20, 1937, Amelia Earhart and her crew took off from Oakland California on the first leg of her ill-fated attempt to circumnavigate the globe. The attempt to fly around the world started well. Earhart and her team completed the first 28 legs (18,595 miles) with only a few minor difficulties. Then, on June 2, 1937, with only three legs remaining, she took off from Lae, New Guinea bound for Howland Island. She never arrived. Many theories have been put forward over the years as to what may have happened to Earhart and her crew, but nobody knows for certain. They were never heard from again. However, new forensic tests on bones that were discovered on the Island of Nikumaroro in the 1940s, and previously dismissed as being those of a man, strongly suggests that they belong to Earhart. The new report, published in the journal Forensic Anthropology, looks at the work of professor Richard Janz, who's reexamination and interpretation of the measurements taken by Dr. Hoodless in the 1940s, combined with evidence from other artifacts that were found on the island, led Janz to conclude that the skeletal remains were indeed those of the missing aviation pioneer. 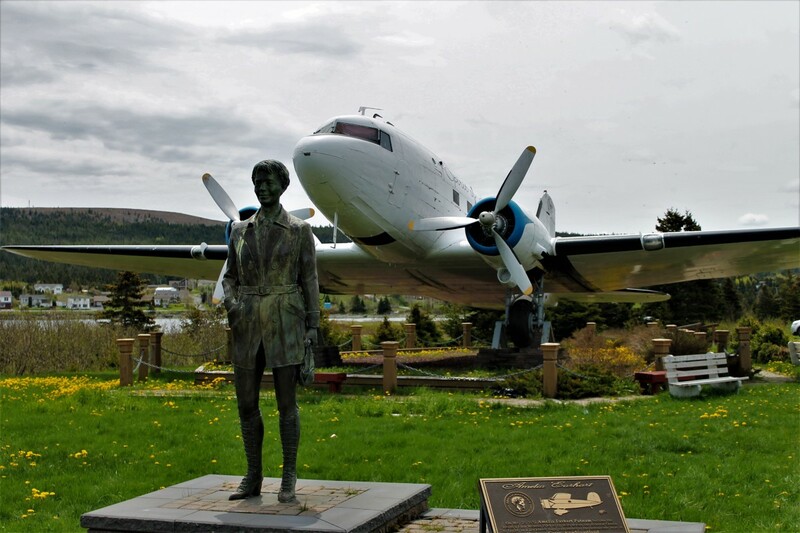 Though it has been 80 years since her disappearance, Amelia Earhart is still remembered and celebrated by the people of Newfoundland, and the town of Harbour Grace. What connections did Amelia Earhart have to Canada and to Newfoundland? 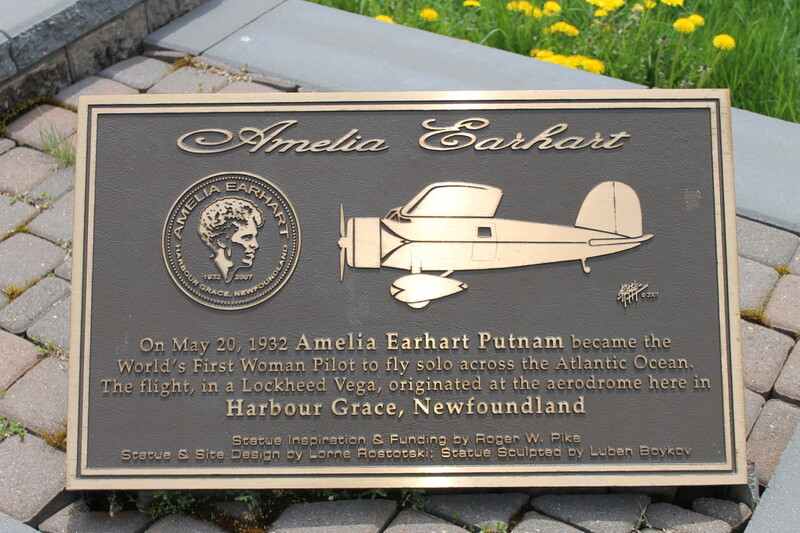 Amelia Earhart's connection to Newfoundland was the use of Harbour Grace as the launch point for her solo transatlantic flight in 1932. At that time Newfoundland was not a part of Canada. 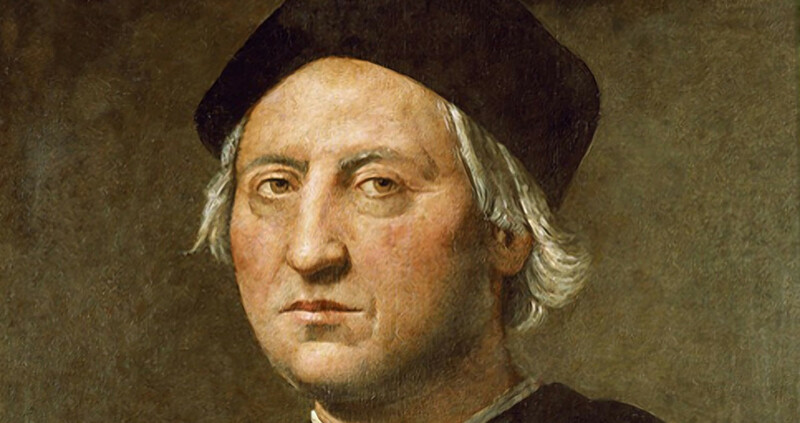 Who was the first person to fly solo across the Atlantic? On May 21, 1927 Charles A. Lindbergh became the first person to fly solo across the Atlantic Ocean. 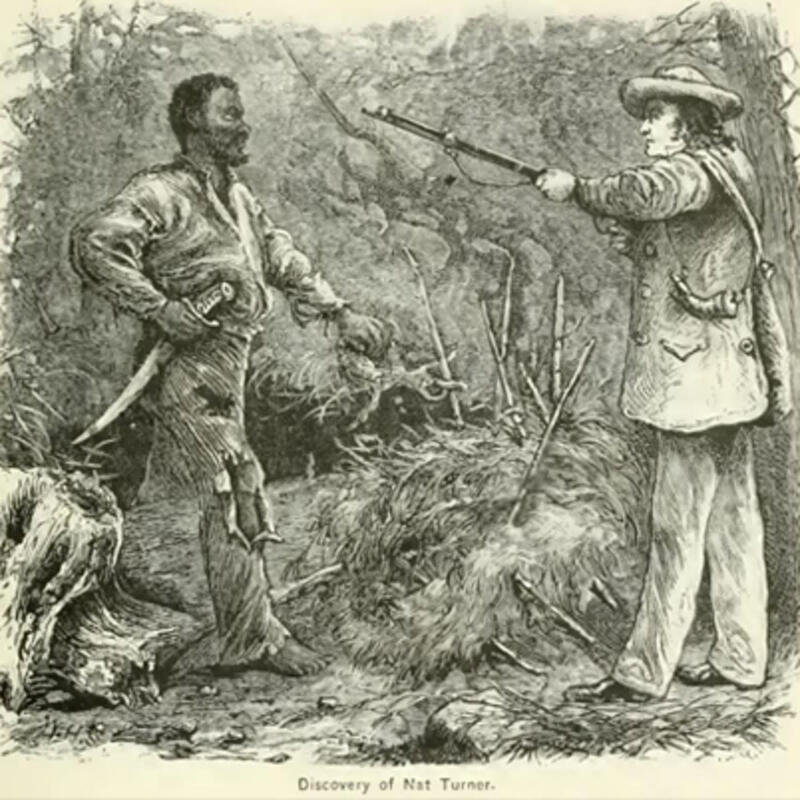 He was just 25 years old at the time. Review: "Atlantic Crossings: Social Politics in a Progressive Age"
She was an amazing individual and a true pioneer. I only touch briefly on her life here, and focus mainly on a single achievement. Her full life story is an incredible read. 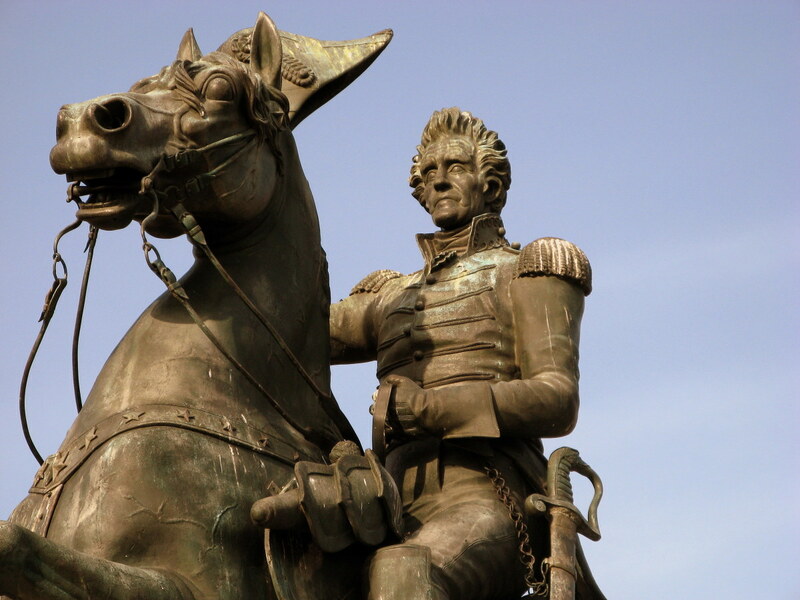 She had true grit. That is wonderful that Harbour Grace has commemorated her there. She set the bar high but opened many doors for women who cared to delve into an adventurous lifestyle. 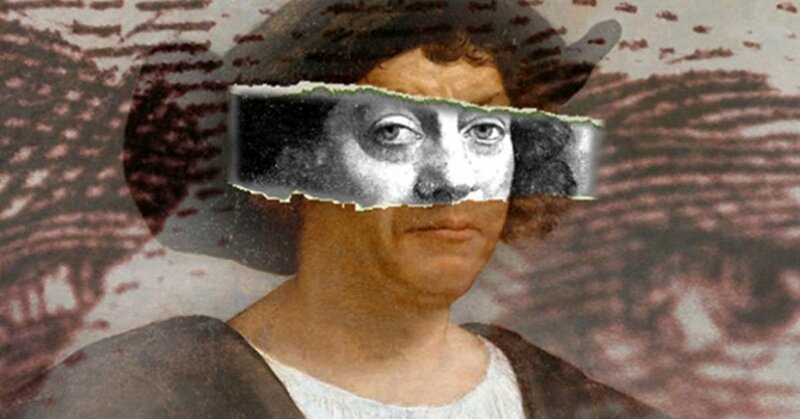 Now we are in an era where it is too easy to find a reason not to do something. She had goals and targets and found ways to achieve them.